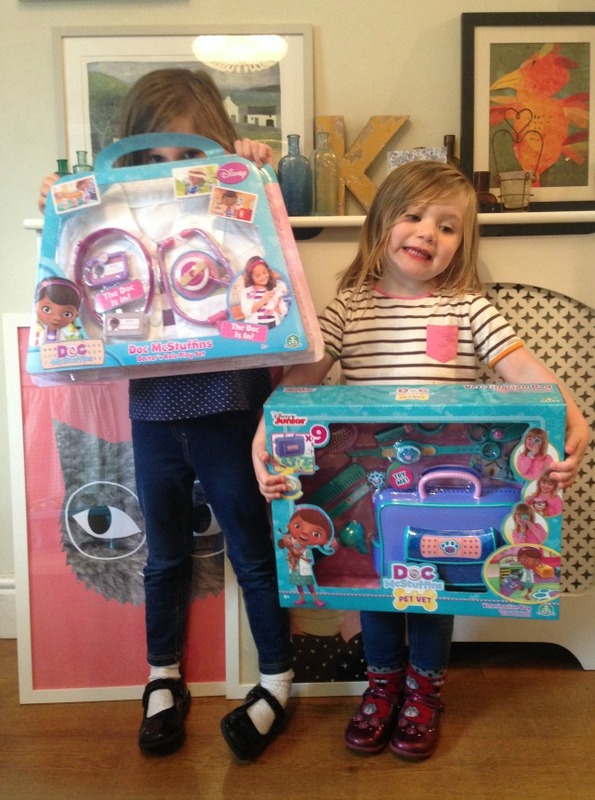 Last week we co-hosted our first ever Twitter party, for none other than Doc McStuffins! There's no need for me to go on about how much we love Disney - YOU ALL KNOW. Doc McStuffins is one of the girls' favourite characters and to be asked to host a party was pretty much a dream come true for them! We kick started our afternoon with a few games - Stick the Boo Boo on the Patient and What's Missing from the Pet Vet Bag - before settling down to a delicious spread of party food and then finishing up with some quiet play and GOODIE BAGS! 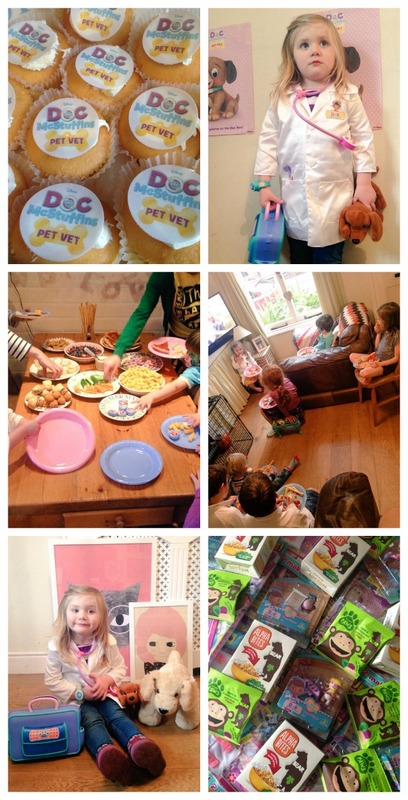 The girls had been sent the Doc McStuffins dress up set, Pet Vet bag and interactive Doc as well as lots of prizes, healthy snacks and going home treats in order to make the party heaps of fun - which it really was!